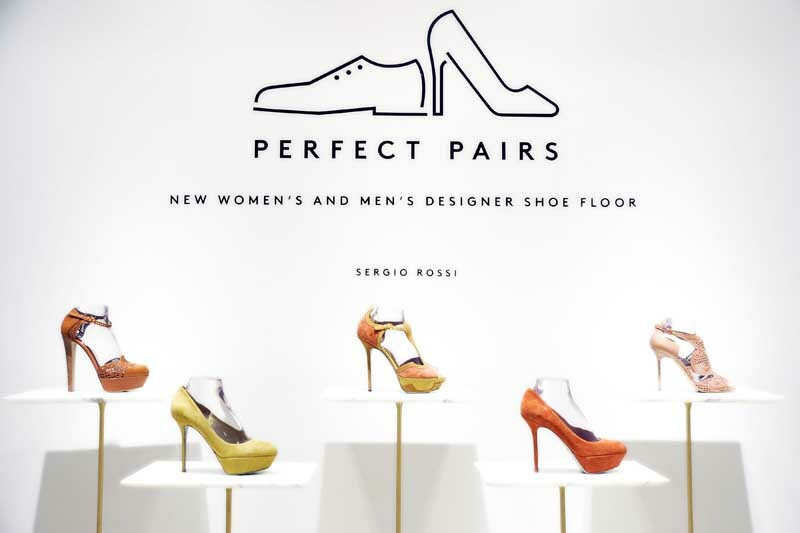 NEW YORK, Jul 19, 2012/ — Francesco Russo, Creative Director of Sergio Rossi unveiled the label’s Fall 2012 collection at Barneys New York as part of the inauguration of the newly renovated Fifth Floor which now houses both the men’s and women’s shoes. With the New York glitterati attending – Mark Lee, Daniella Vitale, Tom Kelenderian, Simon Doonan, Rachel Chandler, Janet Montgomery, Kenza Fourati, Iggy Azalea, the Sergio Rossi Fall 2012 collection is the main attraction of the evening. During the event, Franceso Russo also signed autographs in every pair of Sergio Rossi shoe that was sold. As part of the campaign, Barneys New York will donate 10% of sales from the new shoe floor between Monday, July 16 and Sunday, July 22 to the HRC to further their work in fighting discrimination against LGBT people and expanding marriage equality around the country.